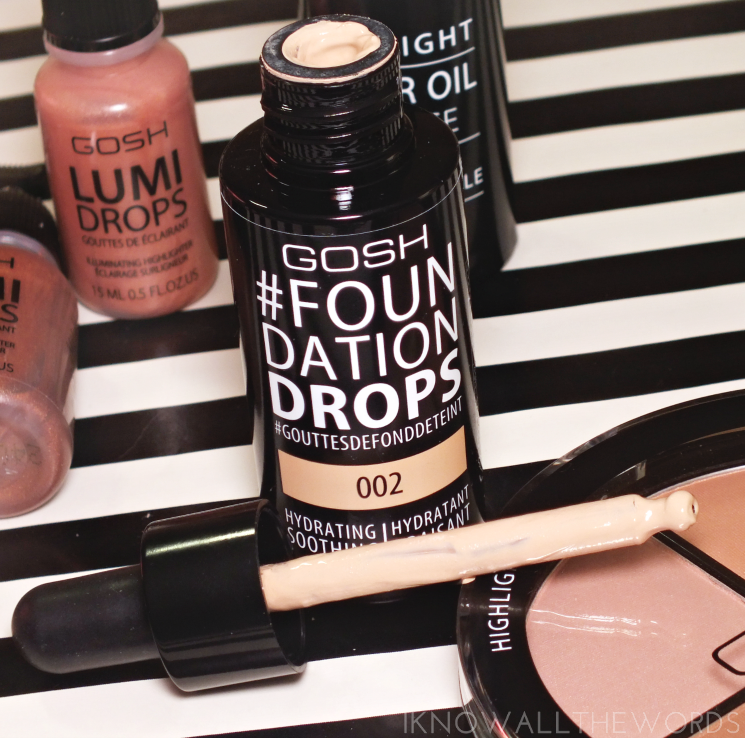 We're talking GOSH today! The Denmark based brand is currently only available in Canada at Shoppers Drug Mart, but they've recently added a ton of new products to the core range. So many that I decided it might be best to break them up into two posts. 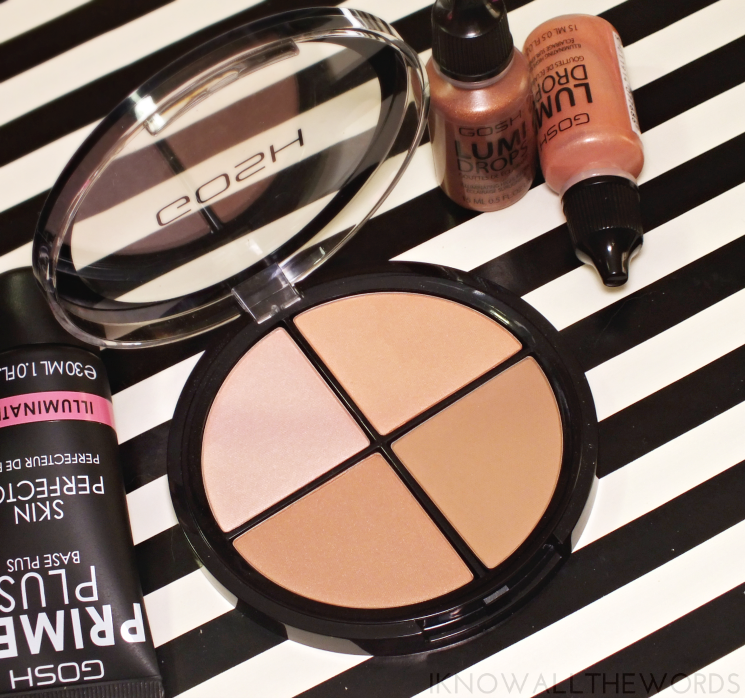 So, today is all about the face products with primers, highlighters, and a contour kit. Let's go! 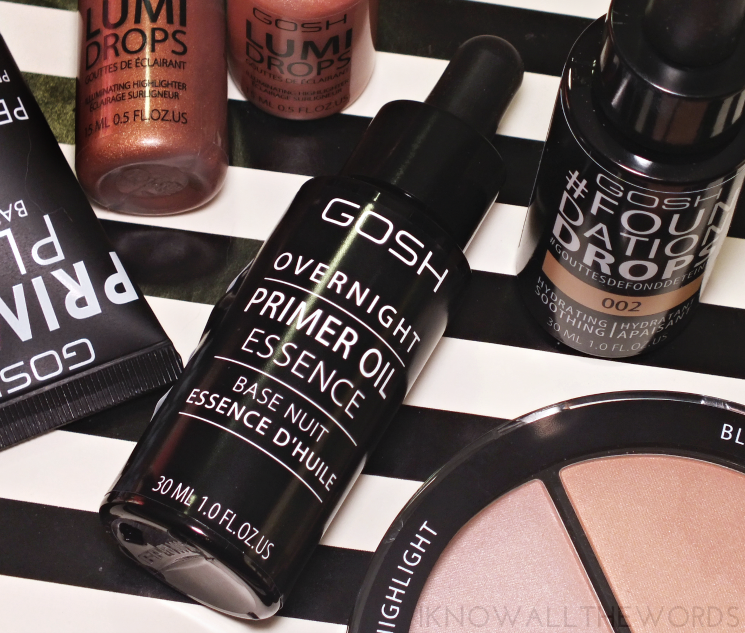 The Primer Plus Overnight Essence Oil is a bit different than your average primer. I've used primer oils, but none that are meant to be used the night before. The Primer Plus oil acts as a "bridge between makeup and skincare" with a lightweight blend of oils (lavender seed, blackcurrant, argan, and jojoba) to hydrate, calm, plump, and prime skin with a radiant look. I love oils and this one absorbs easily with no residue and does leave skin looking and feeling better with continued use. 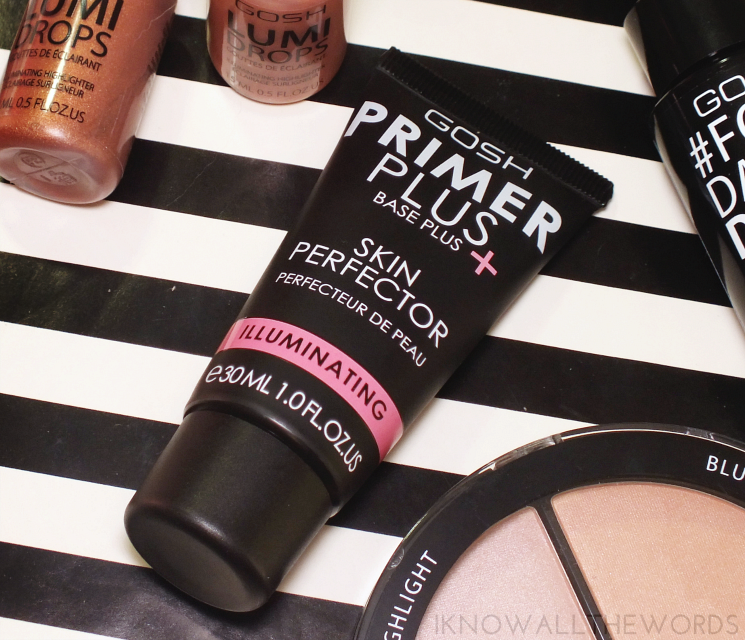 For a more instant effect primer, the Primer Plus Skin Perfecter Illuminating is a great option. While it also uses skincare ingredients (like sea buckthorn oil and vitamin E), to hydrate and brighten skin it also does what you expect of a primer- blurs the look of imperfections and pores, minimizes the look of fine lines and creates a base for makeup. The illuminating aspect comes in the form of the peachy-yellow tint that works to reduce redness and even skin tone. 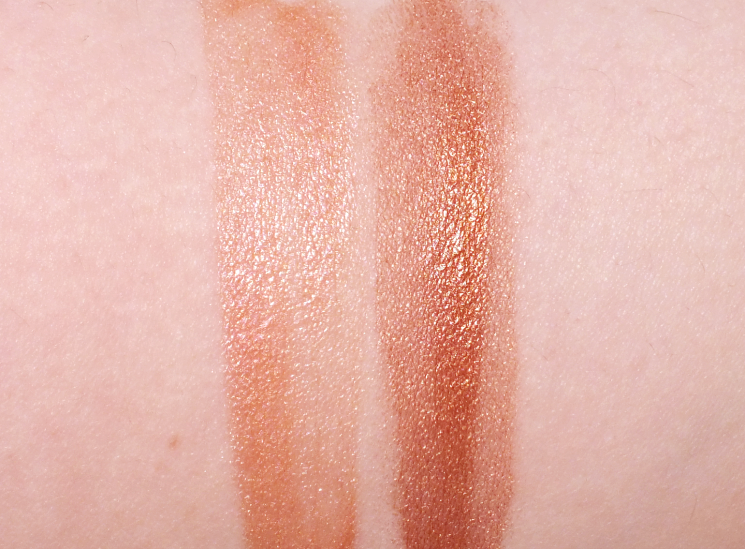 I love that this doesn't have a shimmery glow, but instead gives a brightened more radiant appearance. 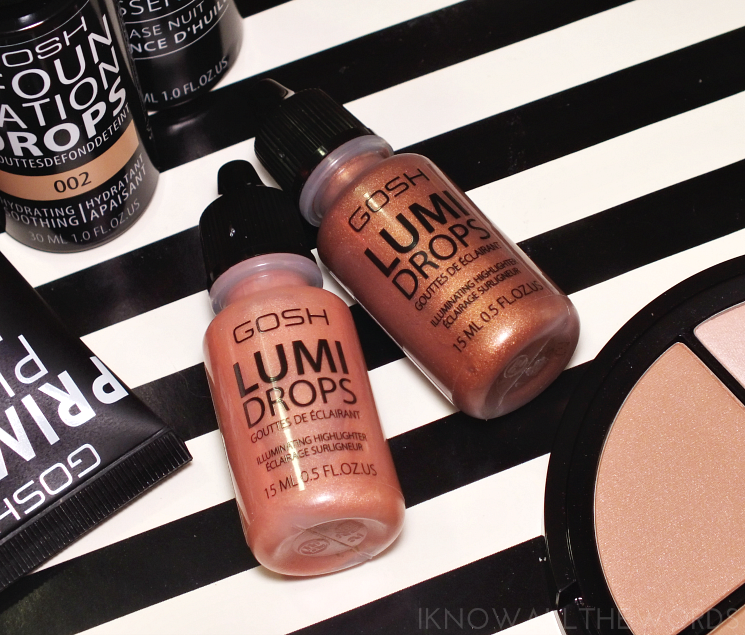 For that added glow, the Lumi Drops offer a subtle radiance and luminosity to skin. Available in three shades: Vanilla (off-white pearl), Peach (peachy pearl) and Bronze (bronze pearl) the liquid highlighter gives a sheer glow when added to moisturizer, foundation or dotted n high points of the te face. 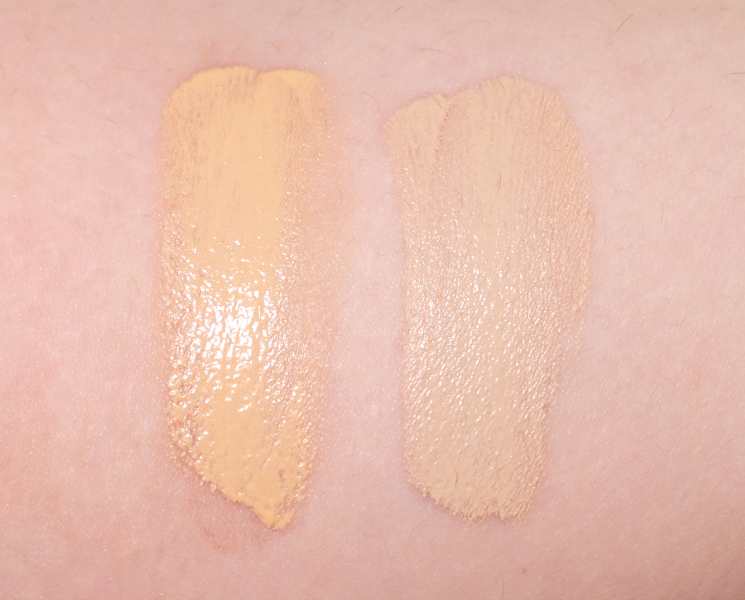 I swatched them heavily to show the shade, but when blended out, only give a wash of their shade. If it's the whole contour and highlight routine you're after, the Contour N' Strobe Kit is for you. The kit combines a highlight (soft blush-pink), blush (apricot with fine shimmer) and two bronzer shades (shimmer and matte) to be a one and done face palette. I have the Light kit (Medium also available) and love that the shades are silky soft with a buildable amount of pigment. 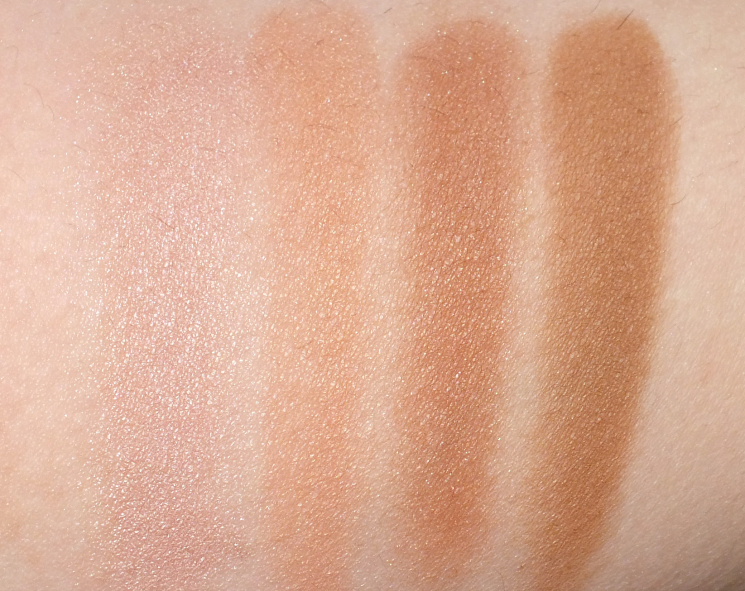 The shades are perfectly deigned for lighter skin tones and offer a gorgeous radiance. That said, the highlight shade is on the more subtle side, and might not be a favourite for those who really want to shine. Overall, some excellent new additions to the Gosh range. I've only tried a handful of their products previously, but was really pleased with how they performed (their Prime N' Set Powder is amazing!) I'll have another post with a few eye and lip products coming soon if you're interested in a few more core additions. What do you think? 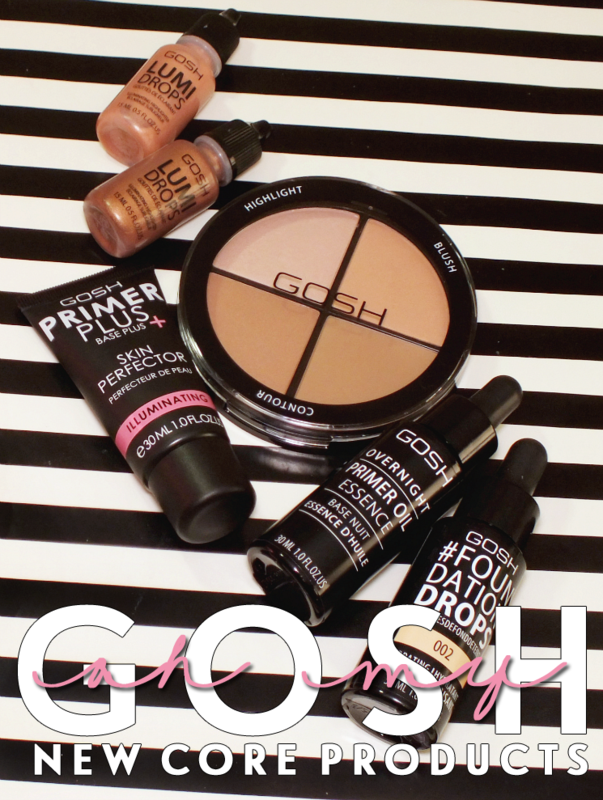 Have you used any Gosh products? Want to?